"If I don't ride, I'm going to regret it when I'm back in school." 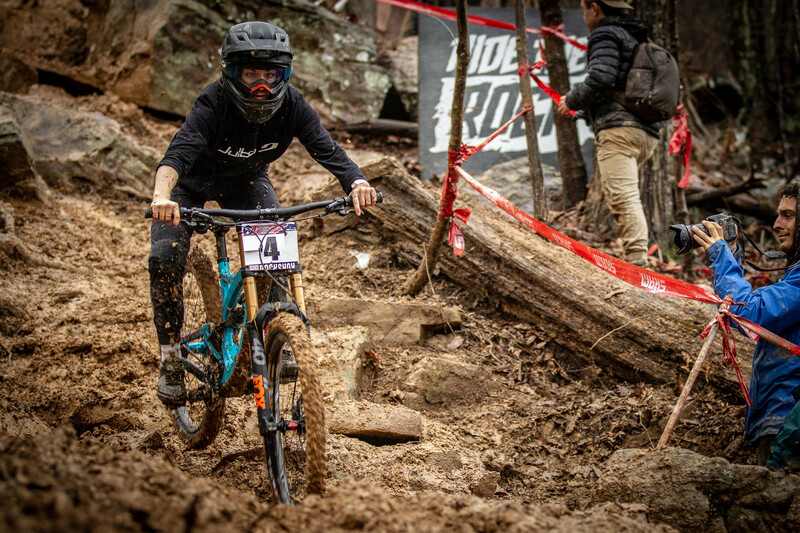 Winner of the Pro Women's class at the 2019 Pro GRT Windrock, Rachel Pageau, isn't afraid of the struggle. In fact, she embraces it. Work hard, play harder – that’s the life of the privateer mountain bike racer. The degree of what constitutes being a privateer varies, from the desk-jockey-speed-demon, to the co-factory student. There is a diverse range of situations, but at the end of the day, none of these athletes are winning their bread with their skills...yet. The work/life balance for the average human is a struggle. Now, imagine piling on training in the gym, riding a bike, planning trips, writing sponsorship proposals, and all sorts of other nuanced minutia on top of grinding away a 9-5 job, a part-time side hustle, or even putting it all on a credit card while studying at school. That is brutal commitment and drive, putting the millennial “adulting” to shame and proving that grit counts when the odds are stacked. During the first national round, the Windrock Pro GRT, we hung out with many of these intrepid riders who are on the cusp of the big show - the “privateer pros.” These feisty competitors are working and/or studying while try to break into racing at the elite and UCI-sanctioned level. Many have some level of support, whether it’s familial, a shop/distributor/co-factory/grassroots hookup, or some other form of benevolent benefactor. The costs of trying to leap into the top tier of the sport are intensely prohibitive, meaning that going it alone is nearly impossible. How do they go from being successful self-supported local pros who climbed to world class caliber competitors? What do they believe it will take to make that jump? Does it come down to factory equipment and mechanics? Is it the taboo conversation around financial support? Is it about training hard and aligning yourself with a good mentor/coach? There are countless factors in the equation, and it’s certainly different from rider to rider. The Windrock Pro GRT was the perfect place to find these answers because Neko Mulally, Sean Leader, and the supporting crew aim to produce a downhill race that is of World Cup-caliber, but on a regional/semi-local scale. Instead of going to New Zealand in March, go to Tennessee. Their intent is to give North American riders a chance to stack themselves against the factory elite from the US, Canada and across the pond, as it's getting harder and harder to make it into the highest tier of the sport with the new points restrictions and the general cost of travel. Since Windrock is a Cat 1 UCI event, it runs almost identically to how a World Cup is run, so riders learn the pace of competition and procedure throughout the week. It's a unique event and a special one for what it represents in its efforts to grow the DH scene domestically. "I'm used to the struggle." Our first Privateer Perspective comes from Rachel Pageau. 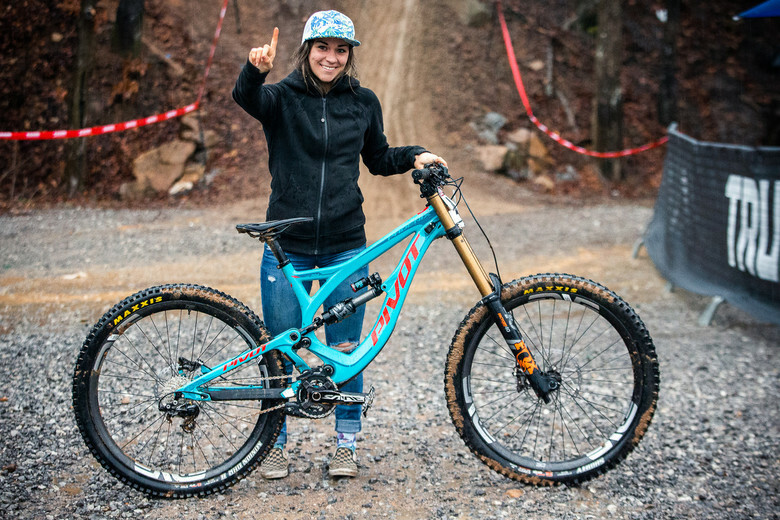 The downhill shredder from eastern Canada took the Pro Women's win at the Windrock Pro GRT. She earned that muddy victory while on spring break during a 17-credit semester studying kinesiology and science of sport at university in Quebec. While that incredible load of school and racing may seem like a lot, she says, "if I don't ride, I'm going to regret it when I'm back in school." That desire to maximize every moment on the bike is a key to her success, proving that often, the most difficult situations breed the most successful individuals. "I'm used to the struggle," she says. Speaking of struggle, she raced the enduro at Windrock at pulled 2nd place behind Miranda Miller, all this after racing DH a day before. 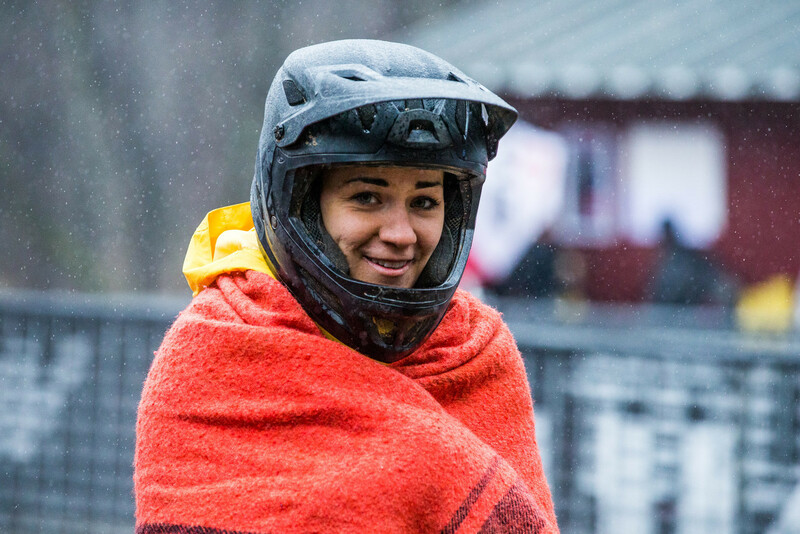 Rachel, while unsure of how just yet, is planning on hitting the full World Cup DH circuit and select Enduro World Series events in 2019 with goals of full support in 2020. Follow Rachel on Instagram at @rachelpagou and check out her blog, too! Rachel is absolutely amazing. 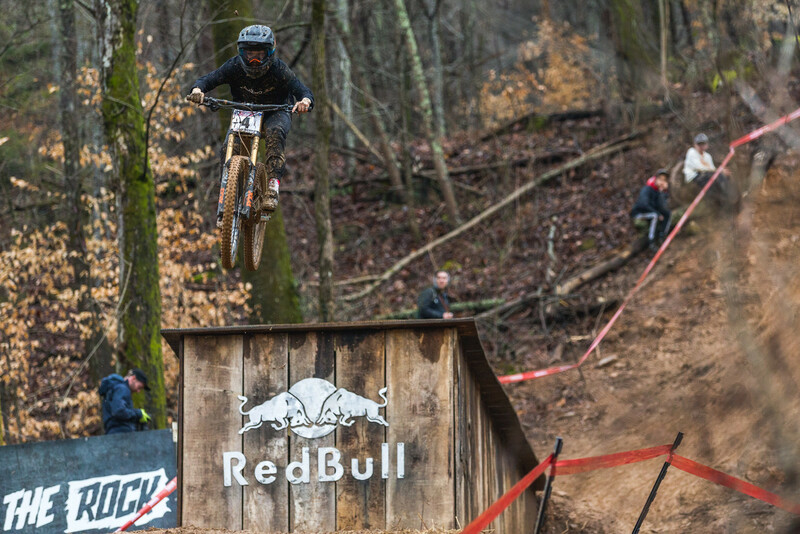 A dominating force in the Eastern States Cup enduros and DH races... and super positive and nice. In 2019 she's helping the kids in the ESC prepare for their enduro/dh races. Big thumbs up. Great idea Vital! Helping out dedicated racers while providing good content is a win win and something that fits Vital's overall approach to this sport. Looking forward to more from this series. this was all zach! we're stoked on it too. Nice! Doin' the important work Zach! I think Vital should pay Zach a bonus for each one of the privateers he showcases this year that gets a full sponsorship for next year. Love this type of article...giving light to the dedication and struggles of the people trying to 'make it'. Congrats on the win Rachel!!! !